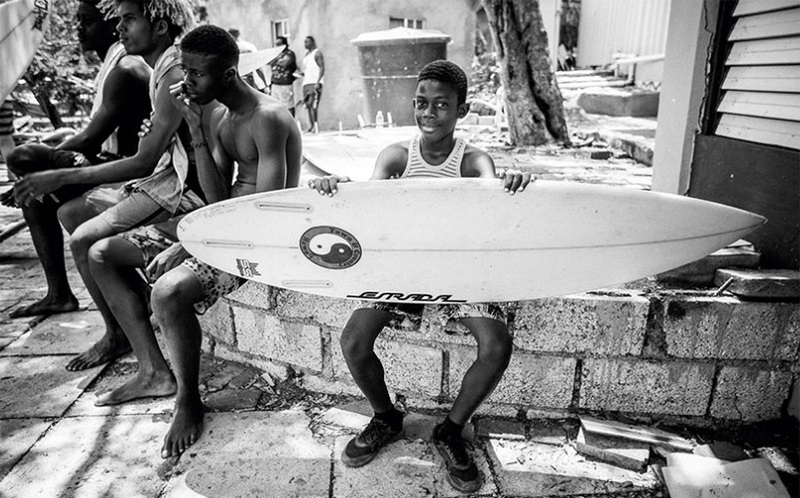 After a surfboard drive led by California-based foundation Positive Vibe Warriors, the future of Jamaican surfing is looking brighter than ever. Ivah Wilmot’s sun-bleached dreadlocks dangle over a pile of surfboards as the 19-year-old bends down to pick up a groveler with a green, gold, and red stomp pad. It’s a wide-nosed Sharp Eye—probably no bigger than a 5’6″, by the look of it under his taut, chiseled arm. The deck is covered with craters and the rails have a few patched dings, but by Jamaican standards, the board is mint. Looking for relief from the sweltering Jamaican sun, I had asked Ivah to show me his quiver in Jamnesia Surf Camp’s boardroom. Jamnesia was started along the south coast of the island by Ivah’s father, Jamaican surfing legend and prominent reggae musician Billy “Mystic” Wilmot. 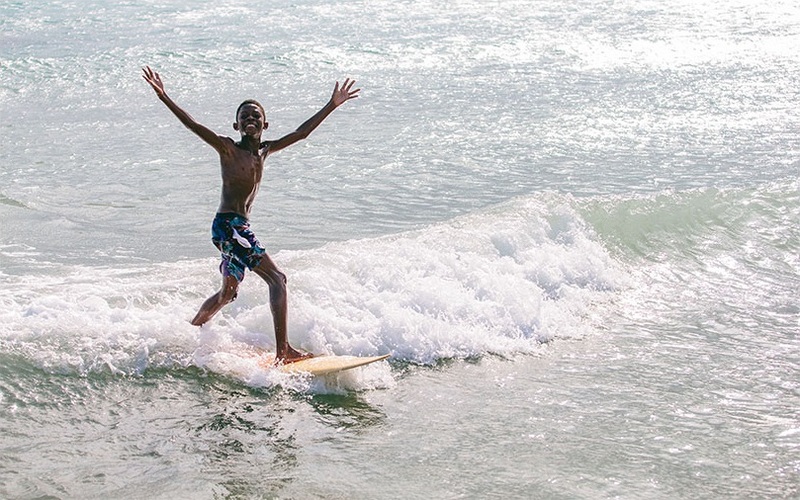 Ivah and his four older siblings learned to surf the wave-speckled shores outside Kingston and quickly became the island’s top talent, winning both domestic and international competitions in their respective age groups. Ivah is part of Jamaica’s new generation of rippers, with a style that pays homage to the knock-kneed, light-footed comportment of Craig Anderson or Rob Machado. Inside Jamnesia’s boardroom, the sun seeps in through shuttered windows, silhouetting a library of aging boards scattered throughout the room. 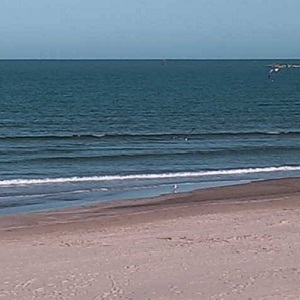 A beige Channel Islands shortboard with weather-beaten full traction leans against the wall, pummeled with pressure dings and patched back together in two different places. Yellowed single-fins and heavily rockered ’90s chips hang from the ceiling alongside a few stubby twin-fins with wide tails thick with resin from repair jobs.